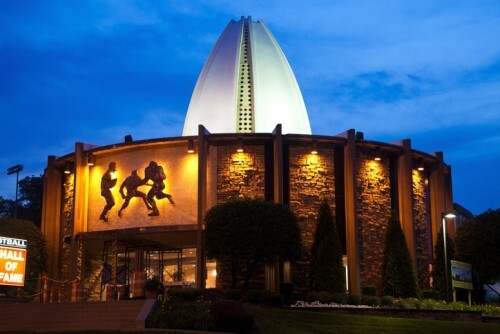 A group of NFL “Hall of Fame” football players has threatened to boycott the sports league’s upcoming annual induction ceremony until Hall of Famers receive health insurance, among other demands. Members of the NFL Hall of Fame board sent a letter to NFL commissioner Roger Goodell, NFL Players Association executive director DeMaurice Smith and Pro Football Hall of Fame president C. David Baker, asking for health insurance, an annual salary for Hall of Famers, and a share of the NFL’s revenue. “To build this game, we sacrificed our bodies. In many cases, and despite the fact that we were led to believe otherwise, we sacrificed our minds. We believe we deserve more. We write to demand two things: Health insurance and annual salary for all Hall of Famers that includes a share of league revenue,” the letter demanded. Hall of Fame board chairman Eric Dickerson wrote and sent the letter, which was undersigned by other board members, including Marcus Allen, Mel Blount, Derrick Brooks, Jim Brown, Richard Dent, Carl Eller, Mike Haynes, Rickey Jackson, John Randle, Bruce Smith, Jackie Smith, Lawrence Taylor and Sarah White (widow of Reggie White). There were more names originally attached to the letter, namely Jerry Rice and Kurt Warner. However, those players said that while they support improved benefits for all players, they never said they would boycott the Hall of Fame induction ceremonies. Dickerson later posted an updated version of the letter, with the undersigned count dropping from 20 Hall of Famers to 13.